When I was a budding science fiction fan, I stepped into a con — a science fiction convention — for the first time. I was into SF, you know, for the books. The convention, it soon became clear, was about the spectacle of science fiction as delivered via other media. Somehow I came home with a pair of rubber Spock ears, some Ral Partha lead figurines, and a Klingon’s phone number. Once the crippling Mountain Dew hangover passed, I told myself I’d never do that again. And in fact, I haven’t gone near another such gathering since. 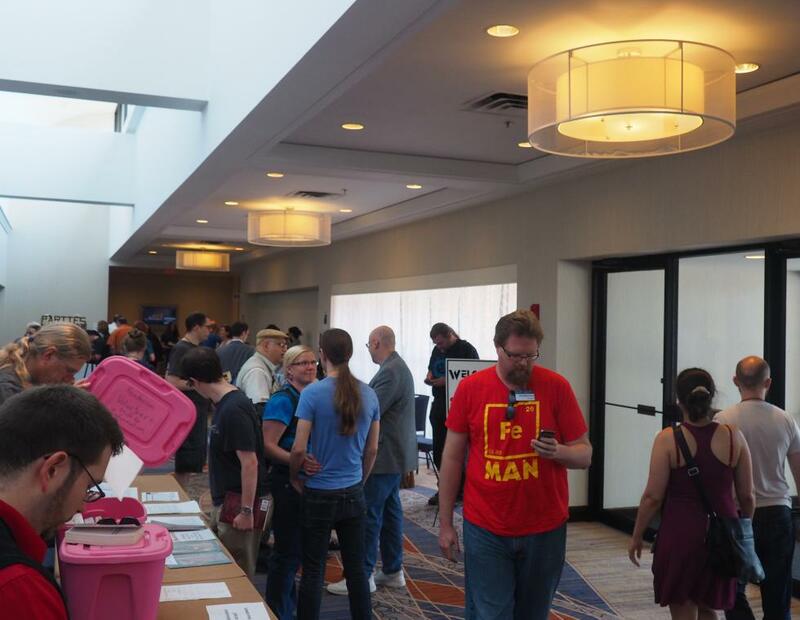 So when, a few years ago, a fantasy writer friend suggested I check out Readercon, an annual SFF (science fiction/fantasy) convention in Boston, visions of prosthetic foreheads danced in my mind. I wasn’t sure. My friend told me it wasn’t like that, that I would likely spot exactly zero Klingons. And, to be sure, the moniker “Readercon” sounds pretty sedate. I warily agreed, and headed eastward. What greeted me wasn’t as sedate as the name suggested, but neither was it the alien-filled salad bar line of my nightmares. 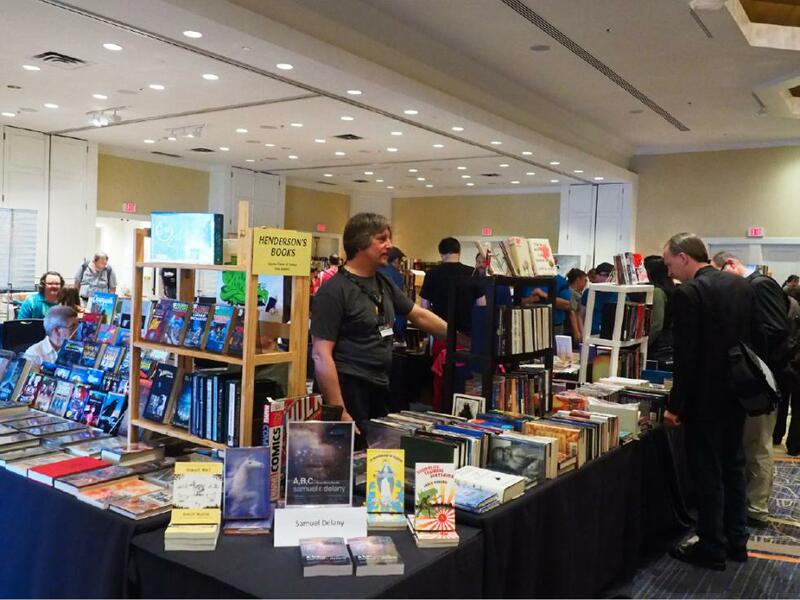 This year, I went again, for Readercon’s 26th iteration. The costume community, those who engage in the unsettling neologism “cosplay” by dressing up as the characters they admire, was represented, if only just, by one woman in a particularly dashing tophat. Other than that, it was only the sea of hipster eyeglasses that gave the gathering away as a science fiction convention. What happens at Readercon is all about the books. No videos play, and no gaming appears on the schedule. What’s more, the many writers who visit Readercon are mostly inhabitants of New England. The Valley once again proves its mettle as a colony of scribblers by claiming a large number of those writers. This year — and it’s probable a Valley resident or two could go unnoticed on such an extensive list — local writers at Readercon included Mira Bartok, Jedediah Berry, John Crowley, Francesca Forrest, Gavin Grant, Kelly Link, Allen Steele, and, if you count Brimfield, Elizabeth Bear. It all raises a couple of questions. Why bother, in a genre filled with dazzling visual spectacle and rabidly nerdy fans, trying to deny the apparent nature of the beast? Why have a science fiction convention that’s mostly a bunch of writers on panels discussing esoterica and tradecraft, you know, like a regular literary conference? Can that even work? And indeed, Readercon includes kaffeeklatsches in which fans can have small-scale, relaxed conversation with writers they admire. It’s that kind of comfortable intimacy that distinguishes the experience. At Readercon, there are panel discussions in which writers hold forth in front of large audiences, but with a sprawling, four-day schedule, the event also puts readers and writers in such close proximity that you’re likely to find yourself accidentally having a bagel alongside the likes of John Crowley, a crafter of spectacular prose widely known for his unusual fantasy powerhouse of a novel Little, Big. Crowley says that for SFF writers, Readercon attendees provide a particularly broad-minded audience. He adds, “Genre is like the mafia. Everybody loves you until you want to get out. If I say that, I could find myself at the bottom of the river.” That mafia seems to mostly steer clear of Readercon. His reputation as a writer’s writer of SFF has remained in place since those days, however, he says, he hasn’t, in a certain light, written in the genre for years. He offers a recent work as an example, 2009’s The Four Freedoms. It’s almost a historical novel — it takes place primarily in a bomber factory in Oklahoma during World War II. Thing is, neither the factory nor the bomber they’re producing are real. 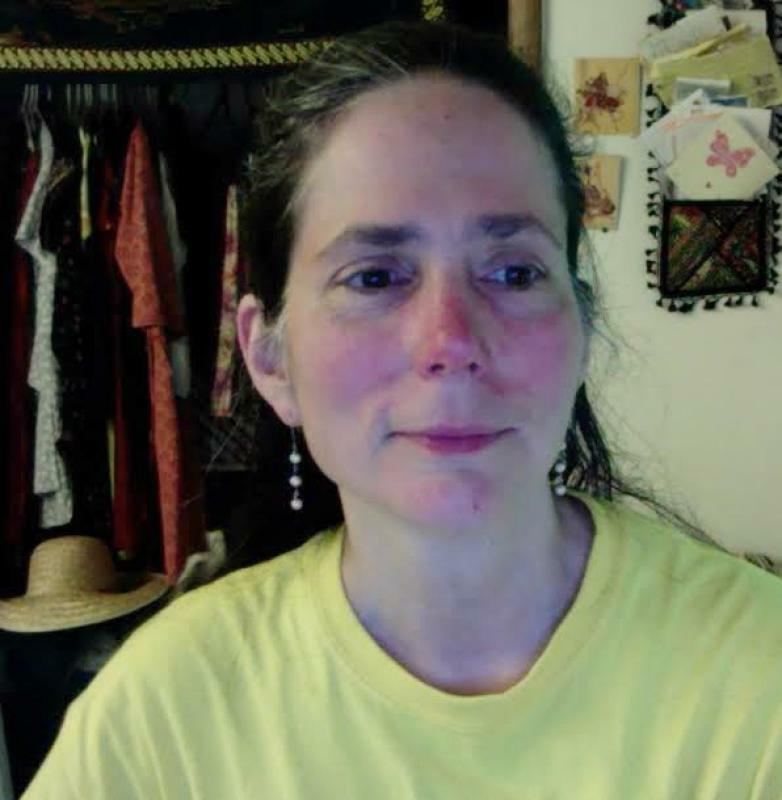 Another Valley writer, Francesca Forrest, is the author of 2013’s unusual novel Pen Pal, about two people connected via a message in a bottle. One is a kid, and the other a prisoner suspended over a volcano on an island. 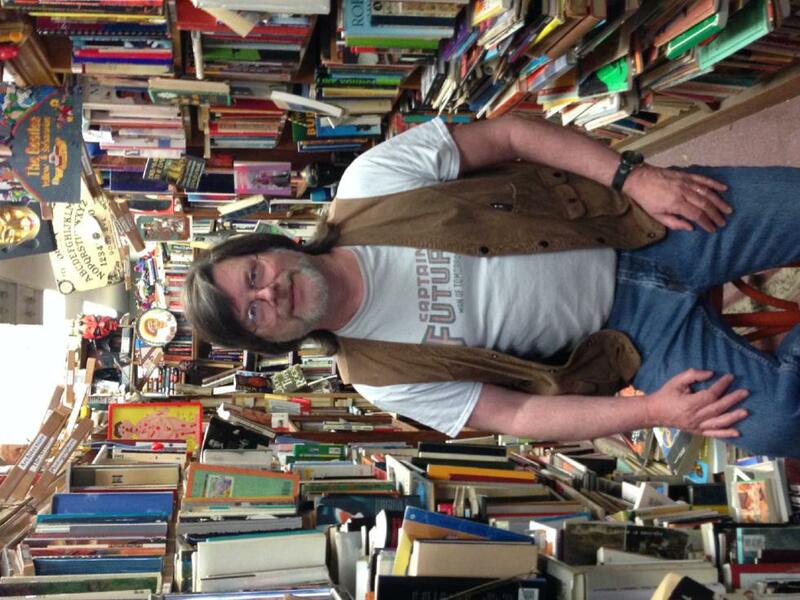 Forrest says, “Readercon is actually the only con I’ve ever been to, with one one-day exception — I went for an afternoon to Albacon in Albany, New York, once several years back. This year’s offerings included things like a discussion of books within books, in addition to less esoteric matters like discussions with editors and critics about the state of the genre. It should probably come as no surprise that our fertile literary region boasts such a rarefied version of a science fiction convention. Attending is a confidence booster if you’re a longtime fan of the genre, especially if you’re a fan who’s weary of standing up for the once-miniscule sliver of SFF that represents the best of the genre, and often the best of human imagination writ large. Maybe it’s illusion, but the sheer number of unusual — and exceptionally well-written and -imagined — SFF books on offer from the small presses who sell their wares at Readercon makes it easy to believe that sliver has finally grown to become the rule instead of the exception. For more about Readercon, including details of next year’s event, visit Readercon.org.